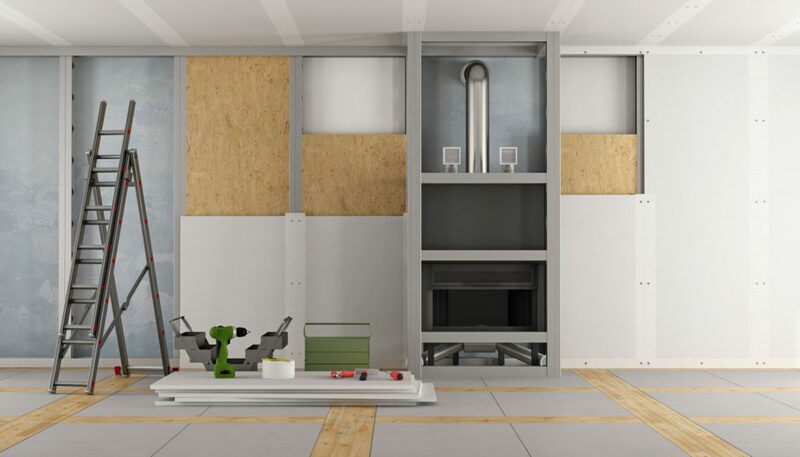 Home insulation installation requires the handiwork of trained professionals who possess the knowledge, tools and experience needed to ensure that the insulation installation process is completed properly. The primary reason to hire Action Brother’s of Atlanta is, of course, to ensure the health and safety of you as well as your family. Insulation installation, regardless of what type of insulation is involved, is a delicate, complicated, and potentially dangerous process for those who don’t possess the necessary know-how. There are also a wide variety of location and climate-based variables that must be identified before choosing a type of insulation to install. Our Atlanta home insulation installation specialists will first check local building codes to determine your home’s recommended R-Value, which indicates how much insulation the building needs in relation to its environmental and climate-based resistance to heat-flow. These codes, local to your Atlanta home, will also tell our contractors if there are any vapor barrier requirements for your property. Gaps allowing unconditioned air to permeate your residence, cracks in the home’s foundation, and any water pipes running through the space must also be identified and sealed before the insulation installation process can begin in order to ensure optimal effectiveness. Breaches causing air leaks can be small and hard to detect, but our professional Atlanta insulation team has the proper tools to find and seal these potentially problematic fissures. Any hot water pipes running through the insulated area will also need to be properly insulated in order to prevent condensation from gathering, a common problem due to Atlanta’s humid climate. Professional Installation is the Safest Option! The attic or basement space of your Atlanta home will need to be properly measured and assessed in order to determine the size, quantity, depth, width and amount of insulation necessary based on the type of insulation being used. Home insulation materials, while being used to positively reinforce your Atlanta home, can be dangerous to handle if you are untrained or don’t have the proper equipment. The paper side of batted insulation, for example, is extremely flammable and can’t be left exposed—drywall must be professionally installed over it to mitigate any potential fire risk. Blow and foam insulation both require a mechanical blower to install, which subsequently requires the use of a generator. Incorrect home insulation installation can create a harmful environment for those living in an Atlanta home, leading to air leaks, water damage, pest infestation or even toxic mold. The integrity of the space can also be compromised rather easily if there are water pipes, air leaks or cracks in the foundation that are not properly dealt with prior to the insulation installation process. By hiring Action Brothers of Atlanta, you are guaranteed safe, clean, efficient and professional home insulation installation.